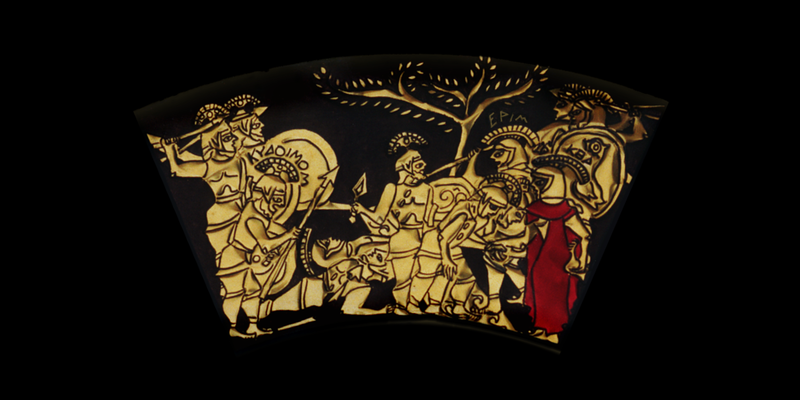 Middle Ring of Achilles’ Shield: BATTLE! “Upon the riverbanks fighting began as foes threw spears at each other. And yet another she grasped by the foot and dragged him to death in the clamor.